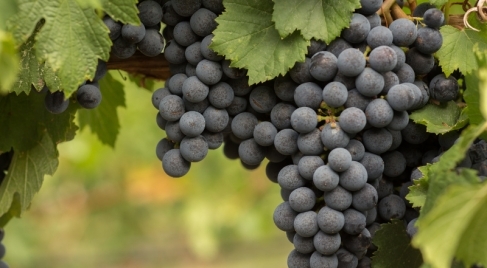 With a French origin, this variety is the queen of the international vine growing. 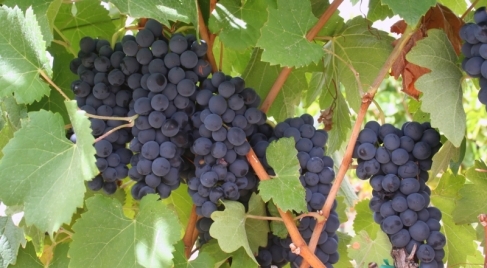 It´s the forth red grape produced in La Mancha, and it has an excellent agronomic and oenologic behavior. It’s a very select variety and it has been very well adapted to our weather. This variety doesn’t product big quantities and it is characterized by its intense and stable colour, its powerful tannins and a lively acidity which produces hard young wines with huge aging potential. It offers a perfect coupage with other red varieties. Red variety with a high production and high colour levels. It is very sensitive to botrytis and mildew. In some areas, as Cuenca, Albacete and Valencia, it is used to produce rosé. Its wines are fresh, tannic, with high colour and, sometimes, with rough and high acidity. The nose is not very intense but with fruity taste. This kind of wines are usually young wines or with short aging periods, and they sometimes belong to a coupage to soften its taste. Red variety originate in the Ródano Valley, it offers excellent results in sunny and high temperature climates. It is very common in Australia and California and it is successfully adapted to La Mancha. It’s also known as Shiraz. It shows a good behavior in hot climates, although in cold climates it produces slightly lighter wines. 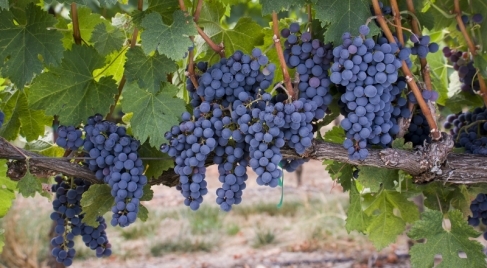 Its medium-sized cylindrical bunches are formed by blues grapes with average peel and juicy flesh. 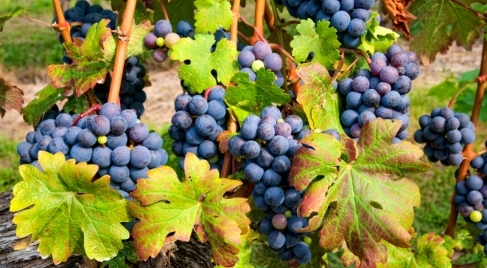 The variety Tempranillo is the most important variety at the D.O. Mancha, being much appreciated in Spain for its quality. It’s the most common grape in La Mancha used to elaborate aged red wines either on its own or “in coupage”. It produces limited but very high quality harvests. 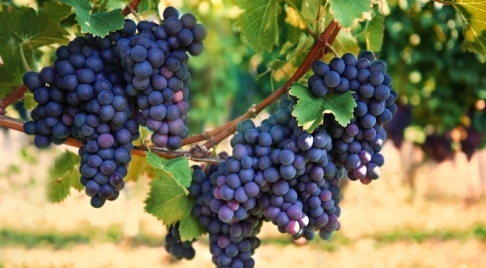 Variety with an early maturation, it produces a medium sized, compact and regular bunches, medium-thick peel, soft flesh grapes and colourless juice. This is the second most important red grape in D.O. Mancha, after Tempranillo, and its main characteristic is its productivity. It is cultivated in almost all the Spanish wine regions. It is said that it comes from the Ebro Valley. 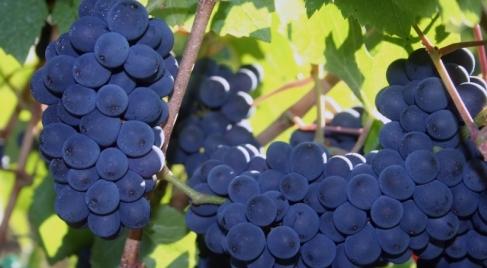 Medium-sized compact bunches, black cylindrical grapes, with thin peel, juicy flesh and colourless juice. Merlot ink from France, Bordelaise region, with implementation in all countries of the world viticultural. It is a vigorous variety and has good adaptation to the production area of ​​La Mancha, requiring land is sprouting early frescos.Su, It is sensitive to spring frosts and mildew. The clusters are cylindrical, medium-sized, the color azul con UVA negruzco. The skin is thick and juicy pulp and pleasant taste. It produces very aromatic wines. This is the most typical kind of grape at the south plateau and one of the most extended in Spain (32%), mainly located at La Mancha region. It is a very productive variety which adapts herself very well to extremely hot and dry climates. It requires short pruning and its bunches are big, loose and yellow. 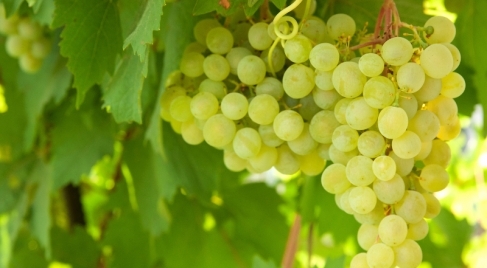 Its medium peel grapes have soft flesh and colourless juice. The Airén variety produces wines with a great bouquet and moderated acidity, which are wonderful qualities to elaborate young and traditional wines. This variety comes from Loira Valley and its name derives from the French words sauvage (wild) and vignon (vine). It is a very aromatic variety and it works really well in cold climates although it can also been adapted to dry climates. Its production in Castilla-La Mancha is increasing mainly due to its aromatic contribution. It sprouts early and it is very resistant to the cold weather. 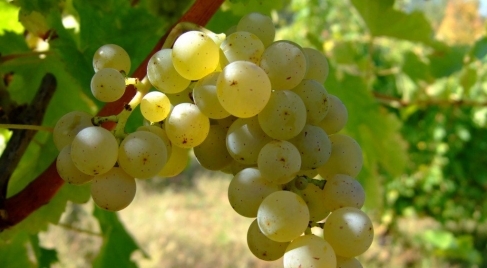 Its bunches are cylindrical and medium sized, with yellow straw, soft grapes and very aromatic juice. 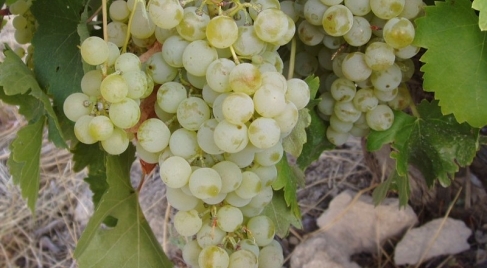 It is know as Viura and Macabeo and it is not much cultivated in La Mancha, even if its presence is growing. Strong vine with good production. Late outbreak and fast harvest, being careful with the grape weakness. Compact big bunches, with a greenish yellow colour, medium peel and colourless juice, with good body and sweetness. 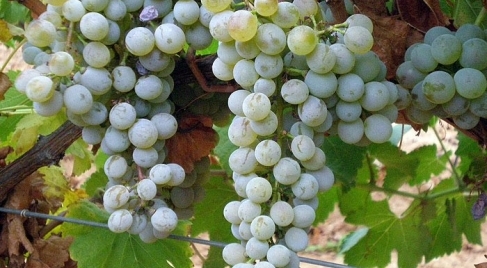 White grape with early outbreak, horizontal distribution and strong log. Mainly cultivated in Rueda, it is considered one of the most important grapes in Spain and it produces very aromatic soft wines with body and high glycerine levels. They are also fresh, acid and smooth, persistent and nice in mouth. In La Mancha, even if they are cultivated for a short time, it is every time more cultivated.